Simmons Cancer Institute at SIU will offer free head and neck cancer screenings on two Mondays, April 8, and April 22, 2019 from 4 - 6 p.m. at SCI, 315 W. Carpenter Street, Springfield. To register, please call 217-545-7493 and leave a message, or submit your request online. Parking for the screenings is available in the parking lot adjacent to Simmons Cancer Institute which is accessible from West Carpenter. The free exam takes just five minutes and is as easy as opening your mouth and sticking out your tongue. Learn what to expect at a head and neck cancer screening. Regular check-ups and early detection can find a head and neck cancer in its early stages or a condition that may lead to it. Accounting for approximately four percent of all cancers in the United States, head and neck cancers are more common in men and in people over age 50. Pardis Javadi, MD, and Sharma will lead the screening effort, which is offered in April each year as part of National Oral, Head and Neck Cancer Awareness Week. Javadi and Sharma are assistant professors of otolaryngology in the Department of Surgery at SIU School of Medicine. People who smoke or chew tobacco, or consume alcohol regularly are at higher risk and should also be tested. Physicians will take a brief patient history, ask about potential risk factors and look for cancer that affects the ears, nose, mouth, throat, voice box, neck and thyroid gland. SIU Medicine’s Ear, Nose and Throat Clinic is located at 720 N. Bond in Springfield, and is open 8 am-4:30 pm, Monday through Friday. 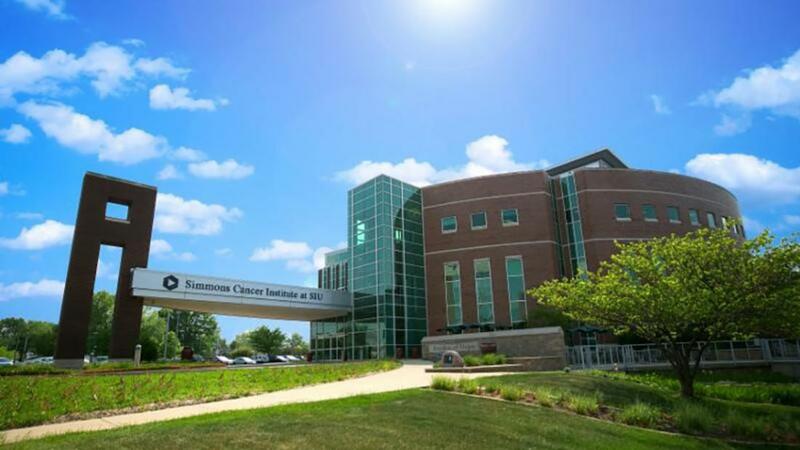 The mission of Simmons Cancer Institute at SIU is to serve the people of central and southern Illinois by addressing their present and future cancer needs through education, research, patient care and community service. For more information, contact Cindy Davidsmeyer at 217-545-3837.